Mt. 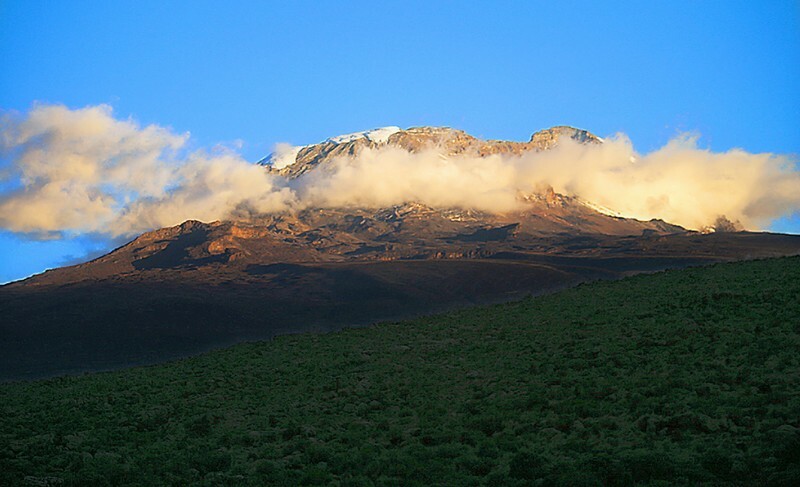 Kilimanjaro Climbing Routes - Which is the Best for You? The six Mount Kilimanjaro climbing routes vary not only in length, cost and scenery. They also have different difficulty levels and different success rates. Selecting a Kilimanjaro climb route is one of the most important decisions you have to make. (The other one is selecting a Kilimanjaro tour operator/trekking agency). 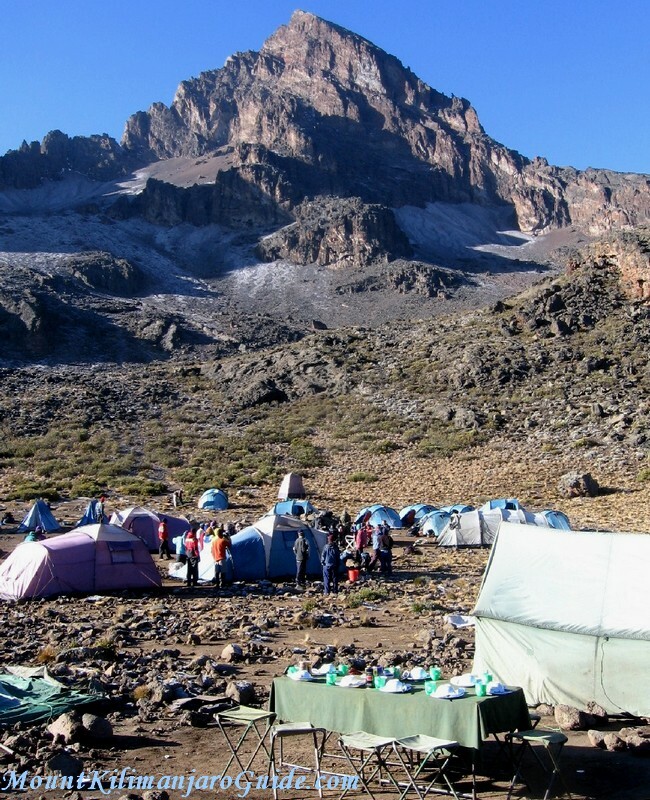 The Marangu Route: the only Kilimanjaro climb route that offers hut accommodation. The Machame Route: the most popular climbing route up Kilimanjaro. The Rongai Route: the easiest route on Kilimanjaro. The Shira Route: this one catapults you to some serious altitude on the first day. The Lemosho Route: hands down the most beautiful Kilimanjaro climb route, but expensive. The Umbwe Route: the most difficult and demanding route on Kilimanjaro, and the most spectacular. The Horombo Huts on the Marangu Route. The Marangu Route is jokingly referred to as the "Tourist Route" or "Coca-Cola Route." It's called "Tourist Route" for two reasons. One reason is simply its popularity: it makes this climb route somewhat touristy. The Marangu route is a comfortable walking path with a very steady, gradual slope (at least until you reach the last camp). This gave the Marangu route a reputation as an "easy" climb route. And that's the other reason for the name "Tourist Route": because it is supposed to be "easy", the Marangu route is used by many shockingly unprepared "tourists", rather than trekkers. The name "Coca Cola Route" stems from the sleeping huts along the route. They sell the stuff (as well as bottled water and candy bars). 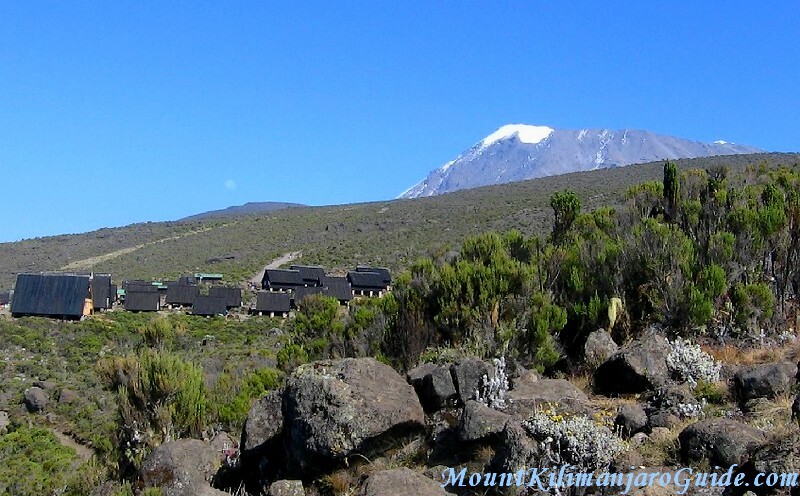 The Marangu route is the only Kilimanjaro climbing route that offers hut accommodation. Camping is not allowed. The "tourists" on this route are shockingly unprepared. 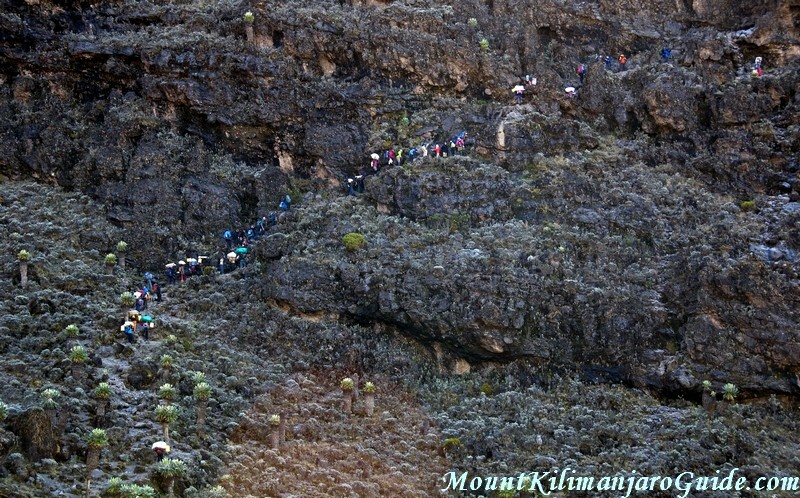 Climbing the Barranco Wall on the Machame Route. © Uta Philipp. The Machame route is also called the "Whiskey Route", a reference to the "Coca Cola Route" Marangu (see above). Machame is "tougher" than that. The seven day version gives you a very short day before your summit attempt, which leaves plenty of time to recover, acclimatise and get ready. The six day version has the same problem as the Marangu route in that respect. See above. The Machame route is not technically difficult. It is more strenuous. The trail is often steeper and it involves many ups and downs, crossing a succession of valleys and ridges. But that's why it is also one day longer than Marangu. Still, for people who have never done any longer hikes in their life and are not well prepared it can be demanding and tiring. Well, and you have to camp all the way. If you go with a budget operator that alone can be demanding, especially if the weather turns bad. As for scenery, the Machame route is absolutely spectacular: the Shira Plateau, the Lava Tower, the Barranco Wall... You start from the west, circle Kibo on the southern side, and then descend on the Mweka route in the south east. The variety is hard to beat. Machame is considered the most scenic Kilimanjaro climbing route. For that reason the Machame route has become the most popular climb route on Kilimanjaro. The advantage of that is that prices have dropped and you can find many budget operators on it. The disadvantage is that the Machame route is very crowded. If you are confident in you ability to hike in difficult terrain for days in a row, if you like camping and nature, but money is very tight, then Machame may be the Kilimanjaro climb route of choice for you. You will have to put up with the crowds. Breakfast underneath Mawenzi Peak on the Rongai Route. The Rongai climb has the same easy, gradual climb profile as the Marangu route. It rises very steadily, there aren't any steep climbs involved, no major ups and downs. With a good operator you have an 80 - 90% chance to make it to the crater rim, and 70 - 80% will make it to Uhuru Peak. Kibo seen from Shira Plateau, photo by blhphotography. 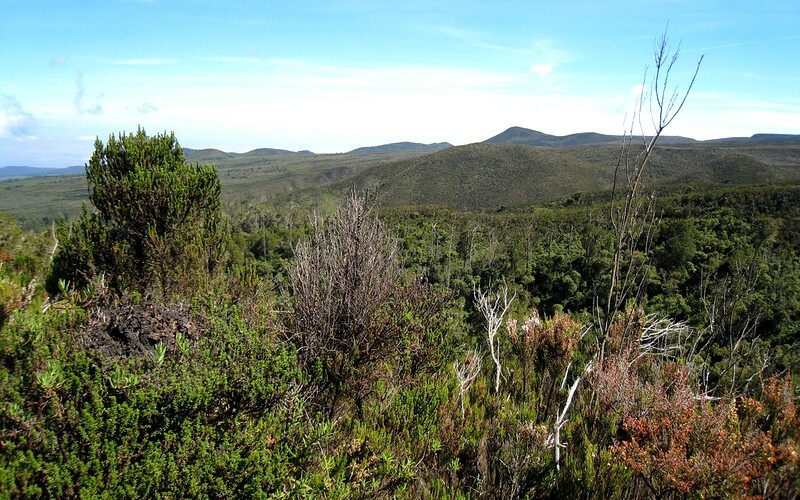 Views over moorland on the second day on the Lemosho Route, photo by Armstrks. However, the longer itinerary and the fact that there are no budget operators (you can't do this route on a budget) lead to excellent success rates on this route and it has become quite a popular one. 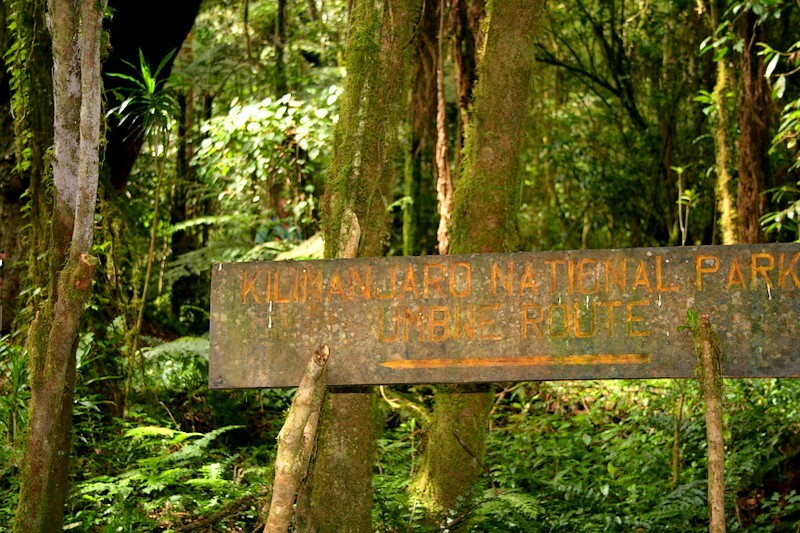 The sign at the start of the Umbwe route, photo by Red Betty Black. This is the most difficult and demanding of all Kilimanjaro climb routes. Don't even think about it unless you have experience climbing mountains.